SKU: FGEDBLTNCH2 Category: Door Chains, Bolts & Viewers Brands: Forge. 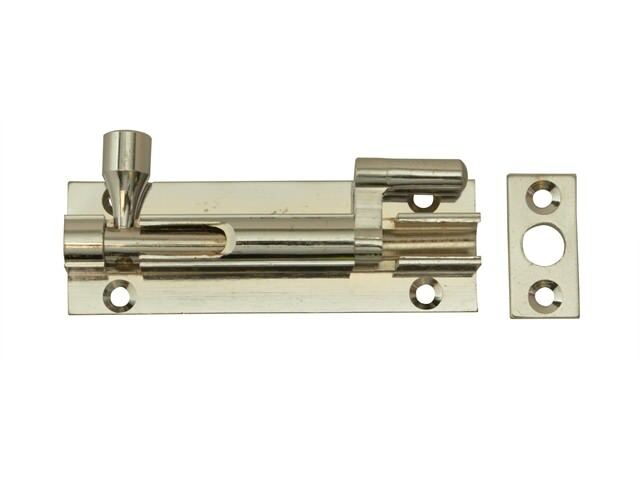 This Forge internal Door Bolt can be used for securing doors or cupboards. The necked version can be used for outward opening doors. 3. If being installed on an outward opening door, use a necked version:- Drill a Ø8mm hole, 16mm deep in line with the bolt and screw the flat keep into position over this hole. Made from solid brass and chrome plated. Lacquered for a long lasting finish.